Hip pain is one of the many problems our physios treat in our clinic in Eskbank just outside Edinburgh. Pain around the hip and groin area can be extremely debilitating and interfere significantly with everyday activities including participation in sporting activities. Patients present to our clinic complaining of pain in the front of the hip, the buttock, the outside of the thigh and the groin. However patients won’t always complain of pain in the same area or combination of areas. For example someone may complain of pain predominately on the outside or lateral aspect of the thigh with some mild discomfort into the buttock or the front of the thigh. Alternatively they may complain of pain predominately in the groin and the front of the hip. The first point to make clear is that because of the hip joint’s proximety to other structures such as the lumbar spine or low back, the sacroiliac joint or pelvis and the pubic symphesis joint; it is often the case that pain felt in or around the hip is not actually caused by the hip itself. However assuming that the lower back, the pelvis and the pubic symphesis joint are not the source of your symptoms then your symptom could be caused by a number of different structures in and around the hip joint. The hip joint itself is the biggest ball and socket joint in the human body, which is formed by the acetabulum which is the socket and the head of the femur which is the ball. There are many pathologies which affect the hip joint however five common sources of hip pain are discussed below. Osteoarthritis or OA commonly affects the hip joint, OA of the hip affects 2.46 million people in the UK. 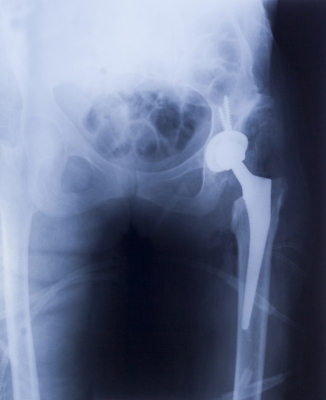 Whilst you may require a Total Hip Replacement or THR eventually, we would suggest that you aim to delay this for as long as possible. There is good evidence that physiotherapy consisting of appropriate mobility exercise, strengthening exercise and other treatment such manual therapy; can help reduce pain and maximise your hips performance in the meantime. Inflammatory arthritis such as rheumatoid arthritis and less commonly conditions such as Systemic Lupus Erythematosus or SLE and psoriatic arthritis obviously can affect the hip just as they can any other joint. As with OA there is always a trade off between electing for a THR too soon or too late; and appropriate rehabilitation can certainly play its part in delaying this decision. However ultimately the decision needs to be made by yourself in conjunction with your orthopaedic surgeon and any other medical professionals including your rheumatologist. More recently labral tears have become better understood and more commonly diagnosed. Partly this is due to improvements in MRI scanning and partly due to advances in hip arthroscopic surgery. Which make it feasible for surgeons to operate on the labrum of the hip. The labrum is a ring of fibrocartilage which is attached to the rim of the socket of the hip joint or the acetabulum. It acts to deepen the socket and to improve the stability of the hip. Generally labral tears are more common in sports which involve a high degree of twisting or pivoting; these include sports and activities such as football, rugby, dance and gymnastics. This can result due to significant hip trauma such as hip dislocation or more often secondary to repeated loading over time. The main complaints which patients with labral tears present with are groin pain, hip joint stiffness and locking or a catching sensation in the groin. There are a number of bursae around the hip, they are fluid filled sacks whose function is to act as a cushion between structures which rub together like tendon, muscle and bone. The one that most commonly causes problems at the hip is the trochanteric bursa which is on the outside or lateral aspect of the hip. When this becomes inflamed and painful it is called trochanteric bursitis. Patients with trochanteric bursitis will normally present to our clinic with pain on the outside of their thigh. It is often painful when lying on the affected side and undertaking repetitive activities such as walking and/or running will often aggravate the degree of pain which is felt. There are numerous muscles and associated tendons which act on and attach around the hip. These can also be sources of symptoms, due to acute pathologies like muscle strains or tears and tendon ruptures or more chronic pathologies like tendinopathies. As mentioned at the top of the page, many structures can refer pain to the hip and the surrounding area, including the lower back or lumbar spine, and the pelvis or sacroiliac joint. Additionally as with any other apparent musculoskeletal problem, the possiblity that the symptoms have a non musculskeletal origin must always be kept in mind. Your physiotherapist will carry out a detailed subjective assessment, where they will ask a series of question to find out the nature and impact of your hip pain or other problems. In addition they will ask questions about your medical and drug history. They would then carefully assess the relevant joints, muscles, nerves and other soft tissue structures such as the trochanteric bursa. Once the possibility of there being a non musculoskeletal source to your symptoms has been ruled out and the likely source of your symptoms has been identified. You and your physio would then devise a treatment plan including manual therapies such as joint mobilisation, home exercise, advise about modifying sporting and other activities and a graded rehabilitation programme to ensure that you return to your desired level of activity. If you failed to make sufficient progress for you to return to your desired level of activity, we would discuss further management options and liase as appropriate with your GP to ensure that your referral onwards was expedited. If you have hip pain or any other problem please contact us to discuss how we can help, We are based in Eskbank near Edinburgh are open from 8 am until 8 pm Monday to Thursday and 8 am until 6 pm on Friday. All our physiotherapists have been qualified for over 15, years are members of the CSP and are registered with the HCPC. We can normally see you within a few days and sometime on the same day. We have no waiting list and you can self refer without seeing your GP if you chose to self fund. If you want to use health insurance we would suggest that you phone your insurer first to ensure that you follow their procedure. This entry was posted in Conditions we treat and tagged Hip pain. Bookmark the permalink.